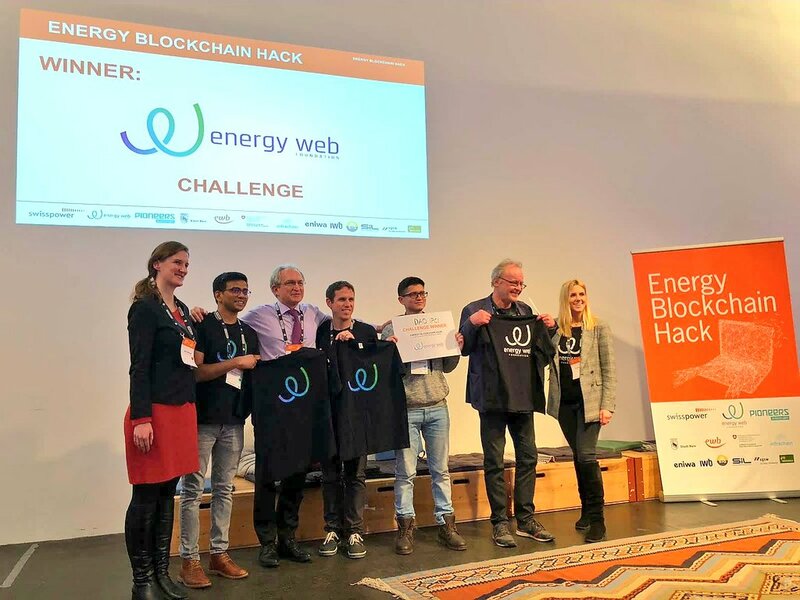 We are happy to congratulate the members of our team Alisher Khassanov and Anton Galenovich on the victory at the first Swiss Energy Blockchain Hackathon hosted by Swisspower and the Energy Web Foundation. They designed a system for calculation and compensation of carbon footprint for energy sector, proving that blockchain along with other digital technologies can provide tools to transparently account GHG emissions and the mechanisms to offset them. Their task was to design an end-to-end provenance platform for goods to capture the CO2 footprint throughout the lifecycle (extract, process, package, distribute, consume/destroy) based on different criteria like emission and combustion factors. Then the solution had to allow offsetting the CO2 emissions on a marketplace and to provide a mechanism based on common standard/specification to prove the footprint and the offset. DAO IPCI solutions are aimed to work for renewable energy companies as well as industrial enterprises who wish to compensate their carbon footprint. In July, carbon credits emission in DAO IPCI blockchain has been successfully beta-tested by Cristian Mosella from Energy Lab, Chile. The registered reductions were based on the data on solar energy production received from IoT sensors and emission grid factor. In March 2017, the Moscow-based Russian Carbon Fund and leading French climate finance group Aera Group pioneered the first worldwide carbon credit transaction using blockchain technology. The Verified Carbon Units equal to 400 tons of carbon dioxide were used to offset carbon emissions by airline passengers both in Russia and internationally.